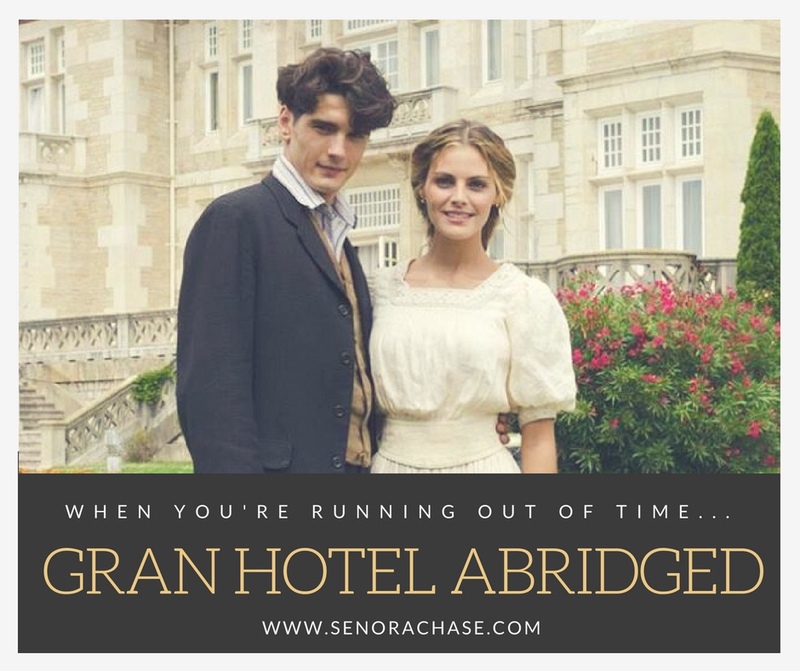 Gran Hotel Abridged, when you’re running out of time! In Spanish 4, we watch and discuss Gran Hotel, the Spanish telenovela that’s full of mystery, intrigue and DRAMA! We love it and we live for it…but we’ve come to the end of the year and there are still a few more episodes left in Season 1. Alas! What to do?! In an effort to keep the input coming and not deprive my little darlings of all the drama, I created these power points for Gran Hotel, episodes 5, 6, 7, and 8. They’ve got screen shots, summaries, questions to predict, and a few scenes to show that are just too dramatic to pass up! Rather than spending weeks on an episode (how we spend the entire 1st semester!) we’ll wrap up an episode in a 90 minute class. On the DVD, episode 9 is the last episode of Season 1, so we’ll finish class watching and discussing that one in it’s entirely, so that’s why I didn’t create a powerpoint for that one. To make it a bit more fun, (and I’m always looking for fun!) of course, I made it into a game. Throughout the episode, there are multiple choice questions and students will have to predict the correct answer. I’ll indicate where in the room they should go if they think it’s Option A or Option B or Option C. After students have made their decisions and moved, I pass out poker chips to the correct students. They hang on to their chips all class and at the end, I stamp the students with the most chips. Without further ado…Here they are! Please, send me a note if you see a mistake on them. And if you want to change or adjust them to fit your classes, feel free to make a copy and edit away! Hope it’s something you can use! It will make me feel way better about staying at school until 5:30 last night to finished up episode 8! You crack me up! Gran Hotel is the only show that I have ever been obsessed with! Love that you can use it w/your kiddos. Miss you!! ¿Has vuelto a Guanajuato? Yo no, pero quiero. ¡Viva Gran Hotel! Regresé el verano pasado. Quería que mi marido conociera Gto! ¿Vas en 2019 por el reunión? Nice! I’ll have to check that out! Thank you!